Easy water maintenance for your above-ground pool? Forget worrying about maintenance of pool water – choose clean, clear and safe water. Everything you need for your pool water. No more floats so children can’t play with them. Connect & Enjoy! Easy to install. Simply Genius works with all above-ground pools. The very best water treatment system for your pool! A unique tablet formulation that treats up to 10,000 litres of water per week. Follow the instructions, simply and easily install the system on your pool pump, and enjoy crystal clear water. The tablets are contained in a special cartridge that fits into the T-piece, which can be closed with a child-resistant cap. This cap is part of the delivery. 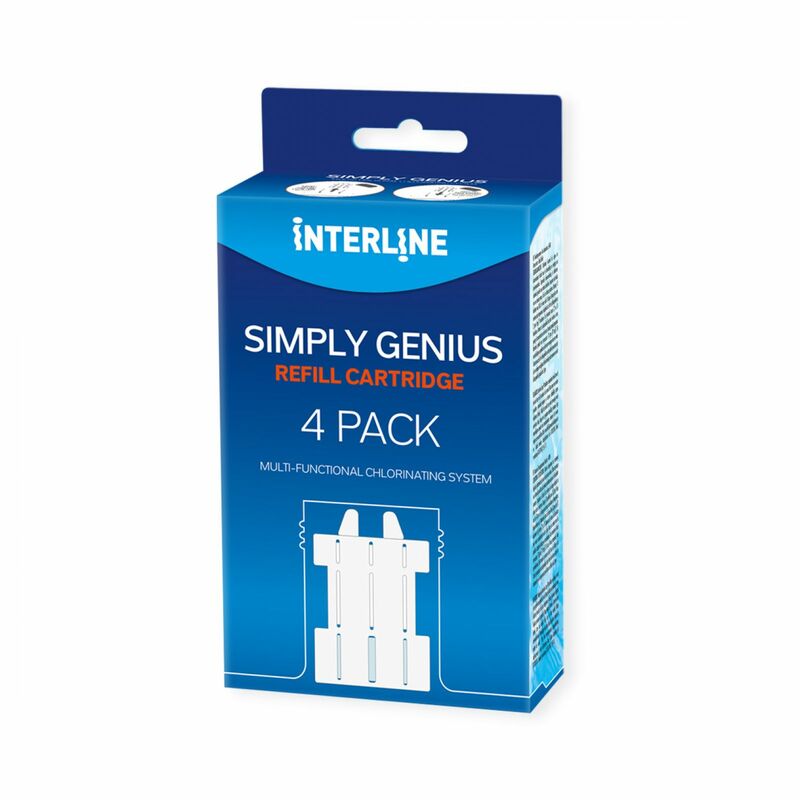 Refill cartridges are available in packs of 4. The tablets have been specifically developed to keep your swimming pool water free of algae and bacteria. The unique Aquafinesse® technology ensures you can use less chlorine while also keeping the pH value of the water stable. 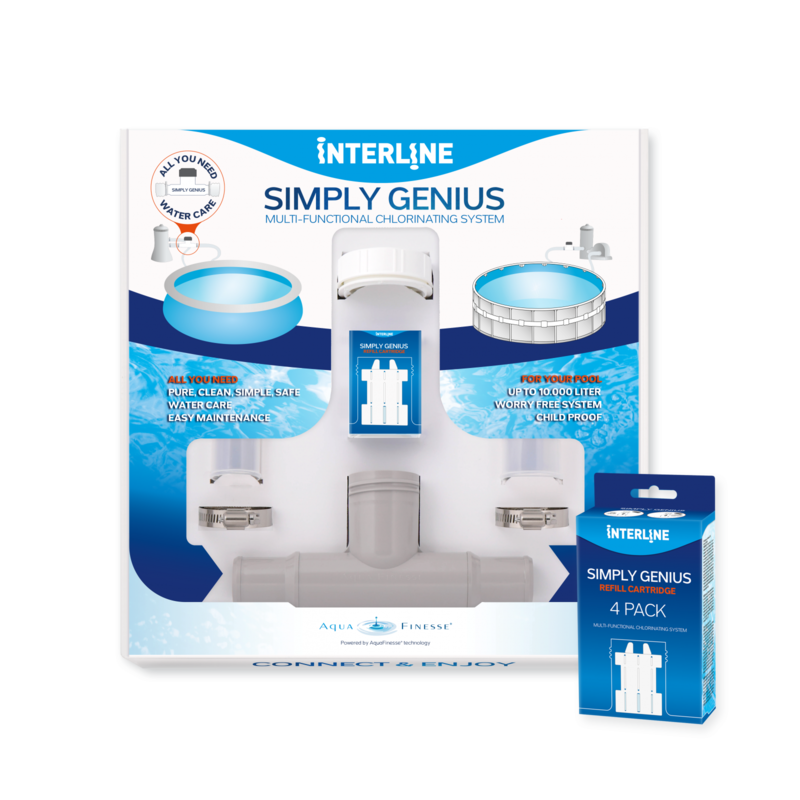 Use Simply Genius to keep your pool water crystal clear and safe!